Whether you want to experience climbing for the first time or sample some of the thousands of sport, trad or multi-pitch climbs that are close by, we can help you out! This can be fun for individuals or the whole family. Come climb outside on small cliffs in a beautiful setting. No experience required! Half or full days available and we supply all the gear. 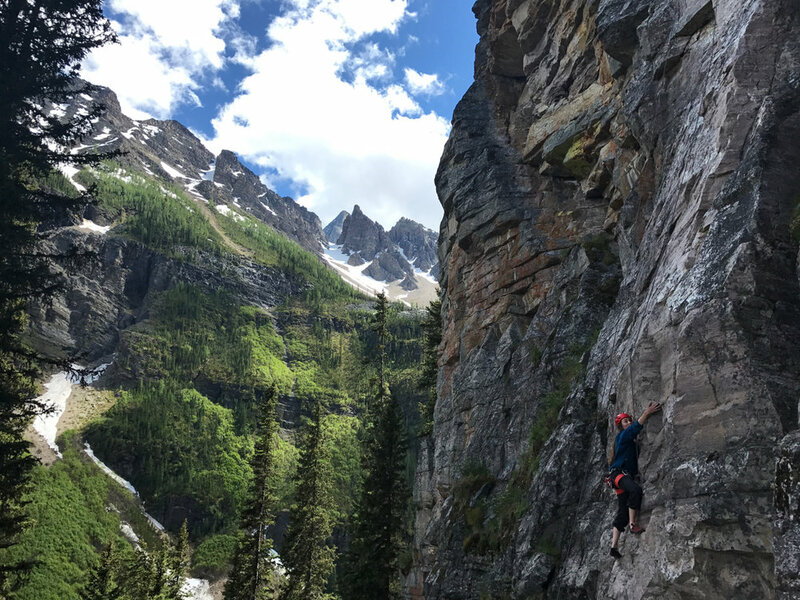 There are literally thousands of world-class sport and trad climbs in the Canadian Rockies, with all grades and styles to be had. Try the quartzite cliffs at Lake Louise or sample one of the many limestone crags. Pick your length, grade and type of climbing and we will be able to supply the route! There are bolted or trad climbs, three to fifteen pitches in length. Try something in the Ghost, on Yamnuska, or near Canmore or Banff!